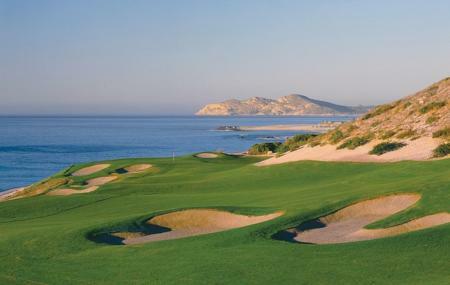 Find hotel near El Dorado Golf And Beach ..
Good luck paying attention on golfing at this unquestionably beautiful course that is as posh as it gets at Cabo San Lucas. Designed by the legendary Jack Niklaus, the course is international quality and a sheer delight for both amateurs and professional players . The adjoining club is grand yet underplayed and defines extreme luxury and class. Ocean views greet you at unexpected turns and the splendor of the design will keep you awestruck for a long time to come. The club also offers outdoor ocean activities and tastefully designed residential suites . Reach by rented vehicle or taxi. Love this? Explore the entire list of places to visit in Cabo San Lucas before you plan your trip. Fancy a good night's sleep after a tiring day? Check out where to stay in Cabo San Lucas and book an accommodation of your choice. How popular is El Dorado Golf And Beach Club? People normally club together Museo De Las Californias and Monkey Business Bar while planning their visit to El Dorado Golf And Beach Club.